It’s cosy sweater season! Chilly mornings and sunny afternoons give way to light-the-fire evenings. It’s time for all things squash! 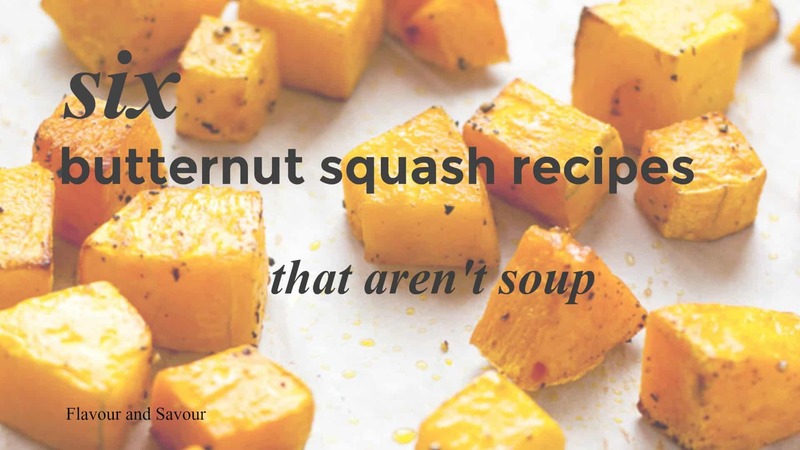 I love a bowl of warm butternut squash soup, but there’s more to squash than soup! I’ve rounded up 6 butternut squash recipes here on Flavour and Savour. Scroll through and I hope you find one that’s just right for you today. Six butternut squash recipes that aren’t soup! 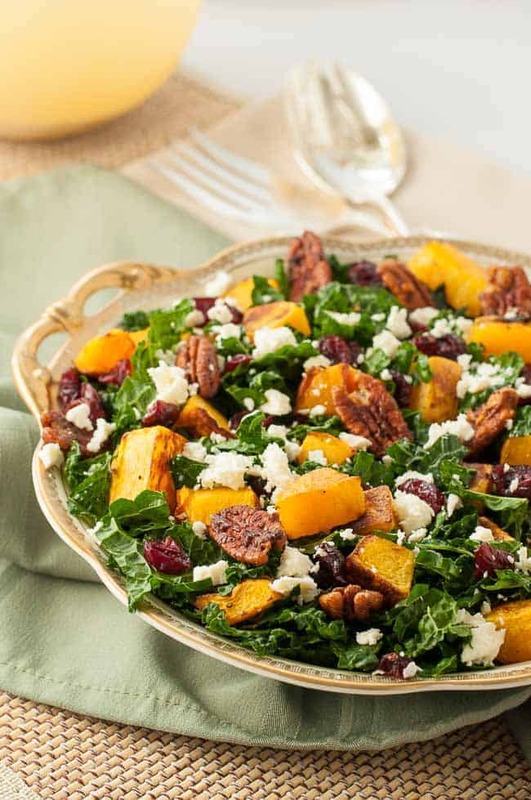 Rich, autumn flavours and rustic warm colours make this Butternut Squash Salad with kale, cranberries and feta a favourite choice for fall or winter. This salad is easy to adapt. Make it with spinach, romaine or kale, choose goat cheese or feta or keep it vegan by leaving out the cheese, and add you favourite nuts instead of pecans. It’s a great basic salad, ready for you to add your own touches. Fresh rosemary is the key to this dish. It’s baked with a subtle lime and honey glaze. 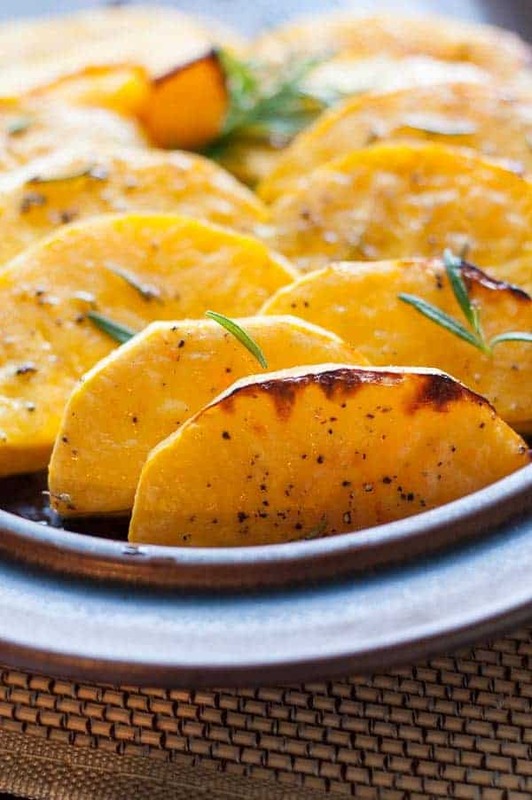 Slice some squash and toss with an orange juice glaze richly flavoured with chili, garlic and thyme. Paleo. It’s a little sweet, a little spicy and a little crispy, too. 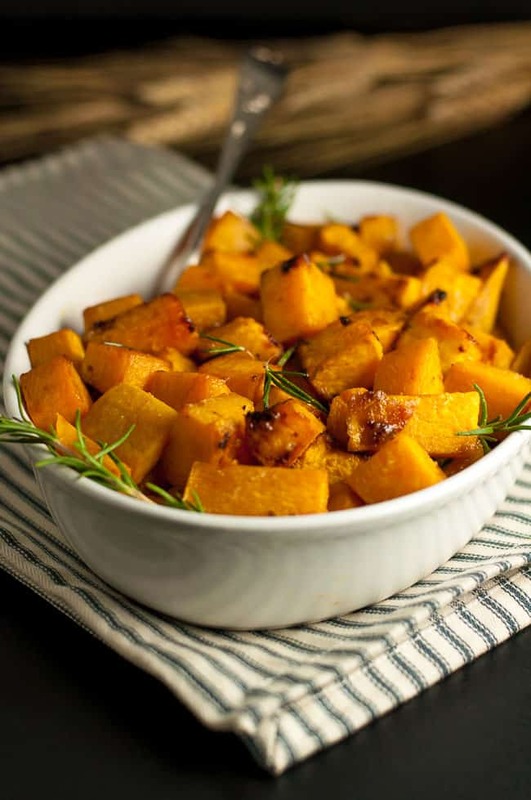 This Maple Dijon Roasted Butternut Squash is deliciously roasted with maple syrup, Dijon mustard and apple cider vinegar. Vegan and paleo. 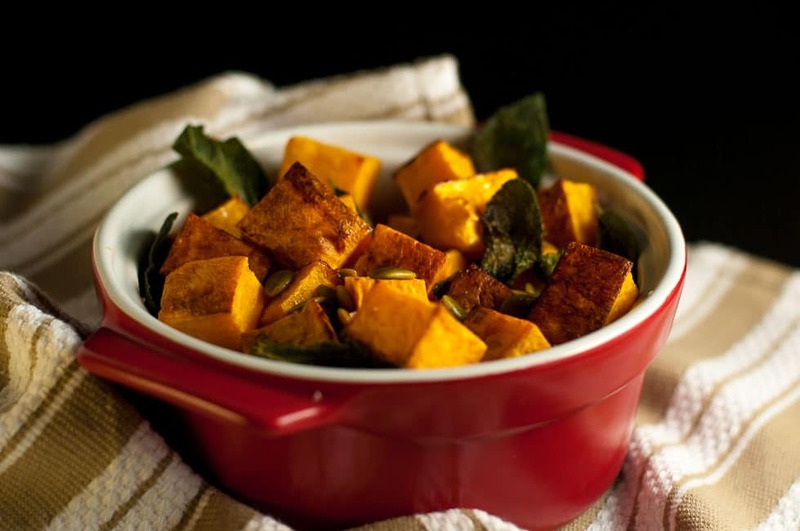 A simple dish of roasted squash, made crisp in the oven and tossed with toasted sage leaves and pumpkin seeds. Does that spell “Fall” or what? 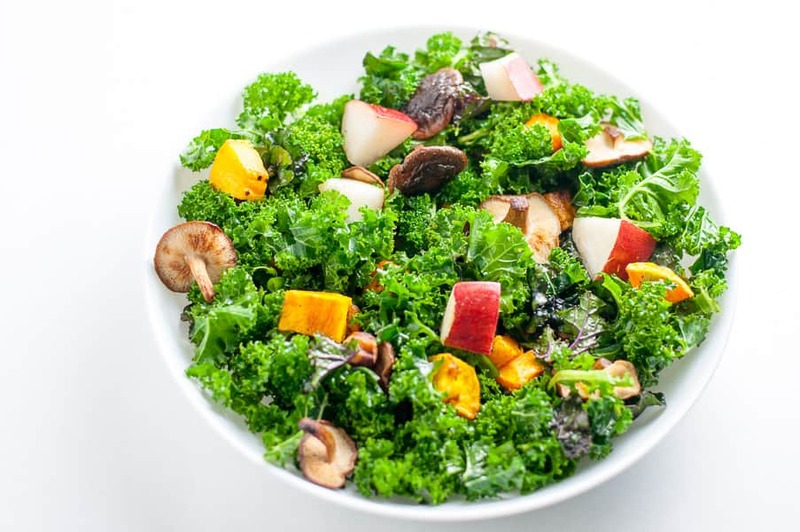 Warm roasted cubes of butternut squash and shiitake mushrooms with crisp pears and toasted hazelnuts or pumpkin seeds combine to make this two-thumbs healthy salad. 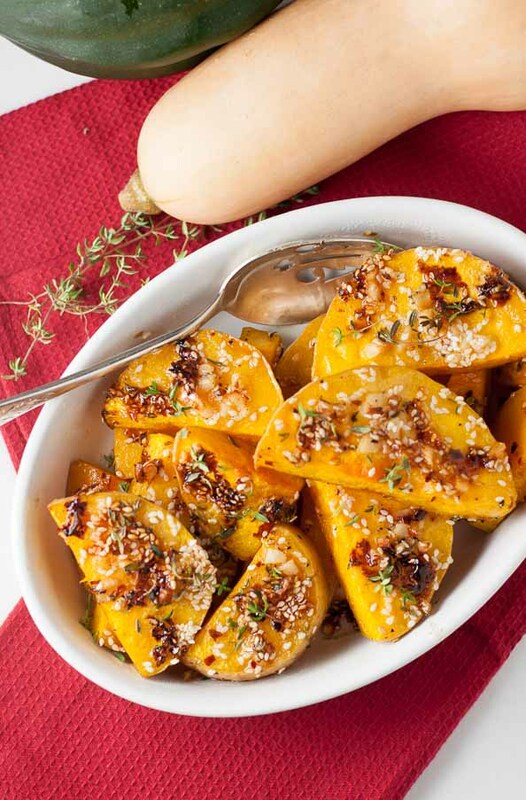 Like this round-up of butternut squash recipes? Pin it or share it!